This very steep site had significant access restrictions in fact everything was carried in and out up approximately 50 steps. 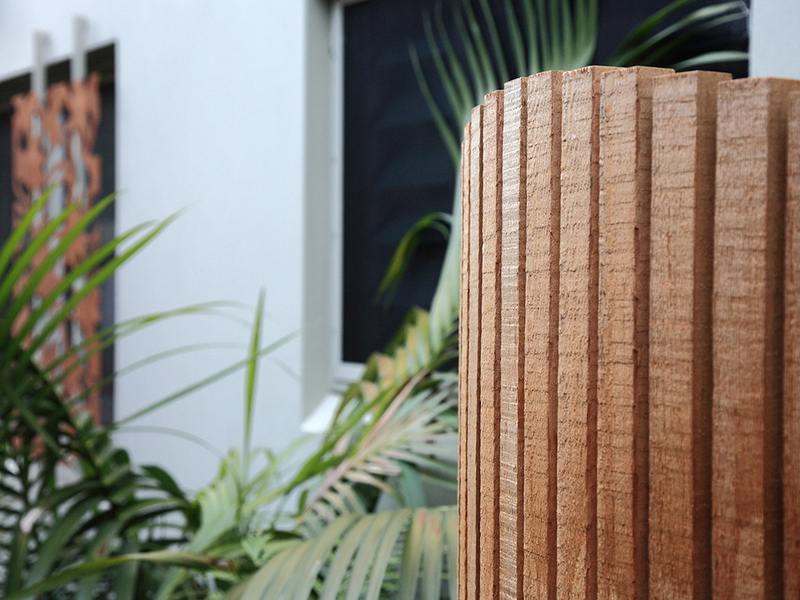 We worked sensitively around existing gardens which we retained and improved with extensive new softscapes. 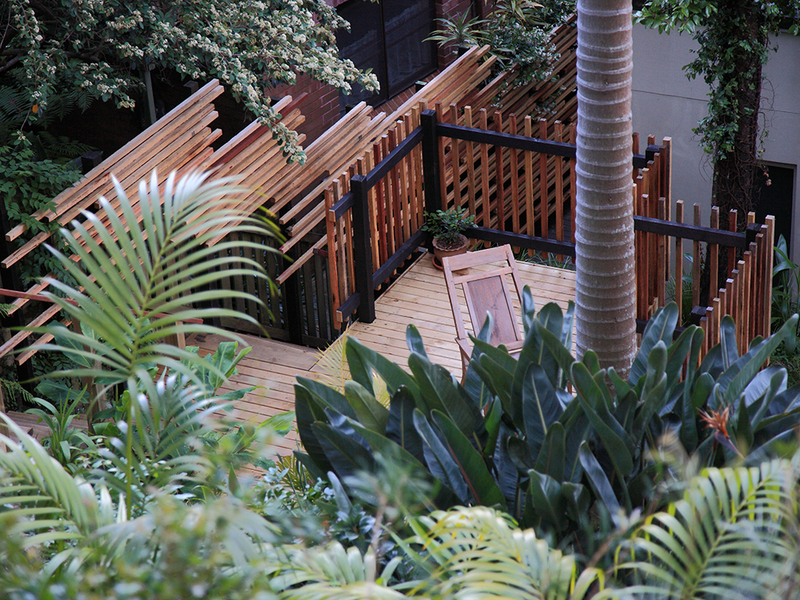 The creative design required the installation of new terraced retaining walls, timber steps and a timber deck. 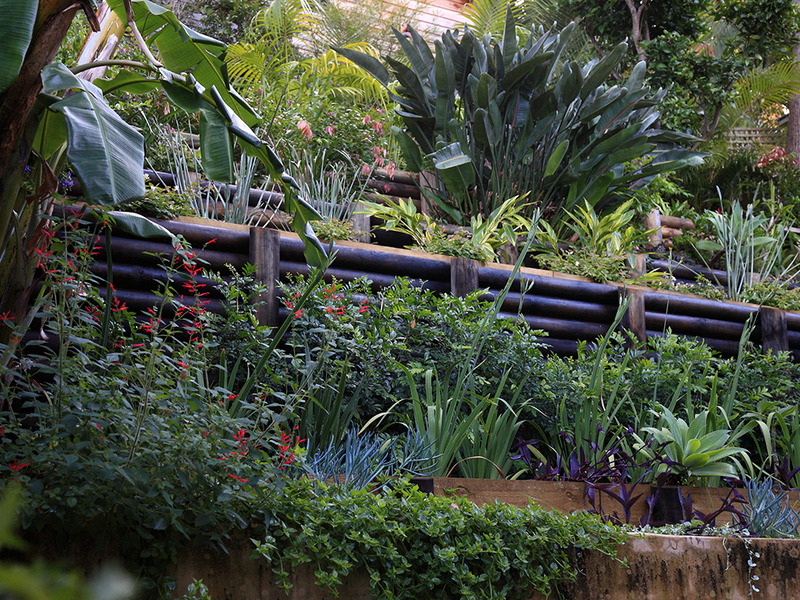 The design improved access and maximised the use of the steep rear yard. 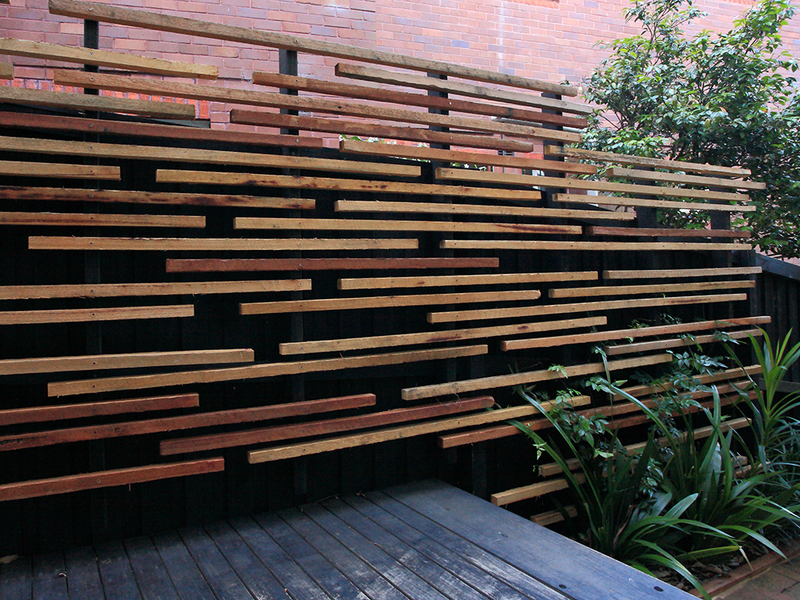 The element which is most eye catching is the use of timber battens for screening both on the fence and for the bespoke fabricated radial storage area. 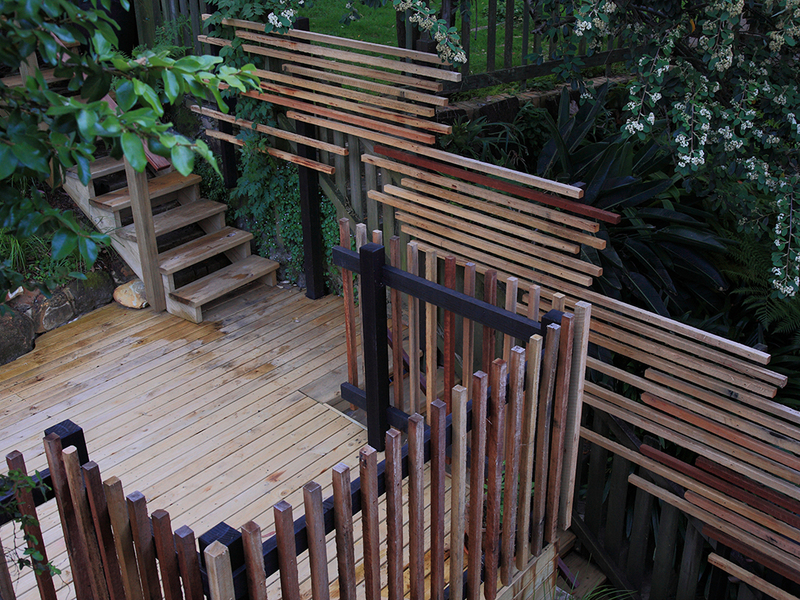 The timber battens were also utilised as a balustrade around the timber deck.